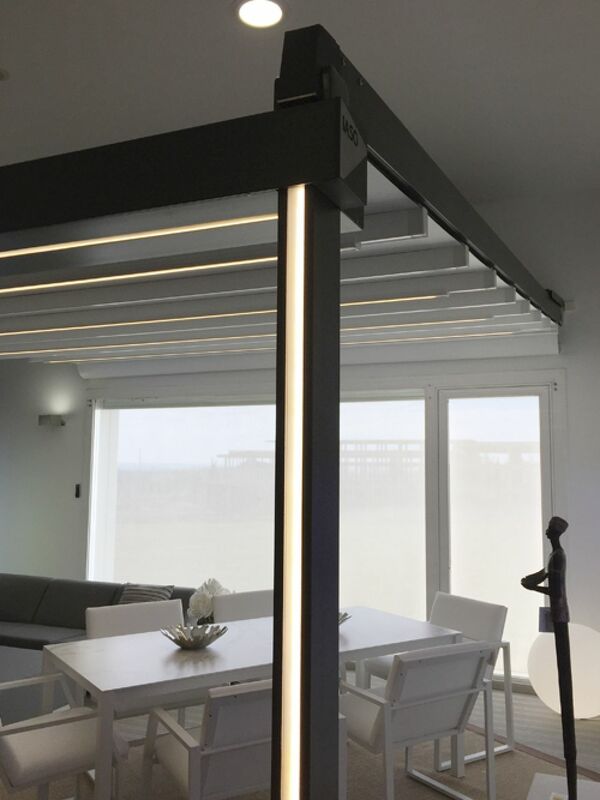 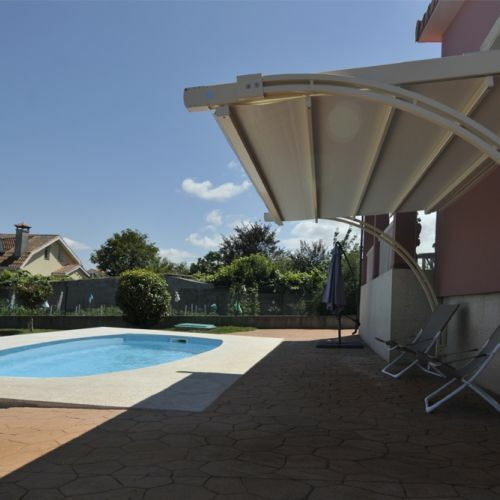 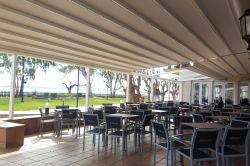 The Selene model pergola is a mobile covering system made to measure to protect from the sun and rain. 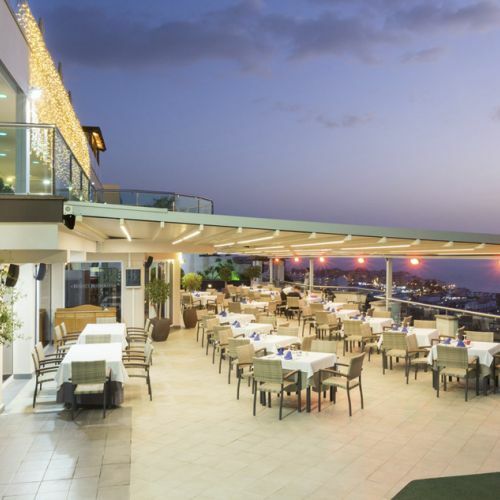 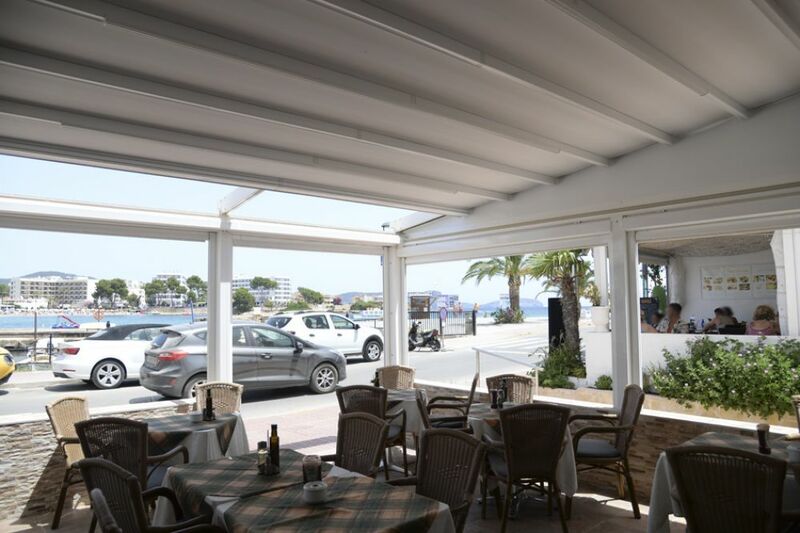 It is anchored to a support wall, or can be self-supporting, and is composed of an aluminium structure and a tarpaulin made of BURAM fabric with bundling closure. 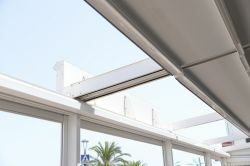 The latter is operated with a motor which regulates the limit switches and the adaptation of the pergola to the desired position. 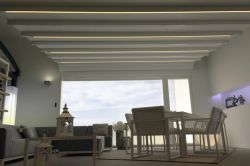 Standard colours: White, ivory, oat, grey and black. 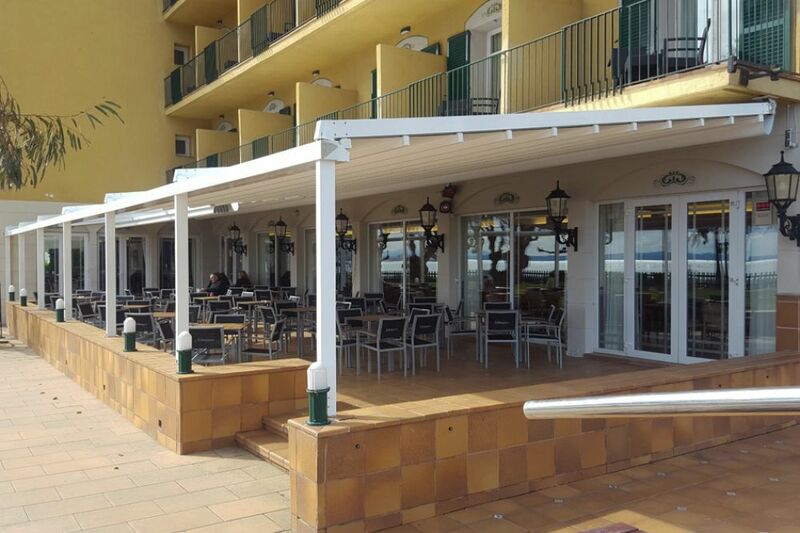 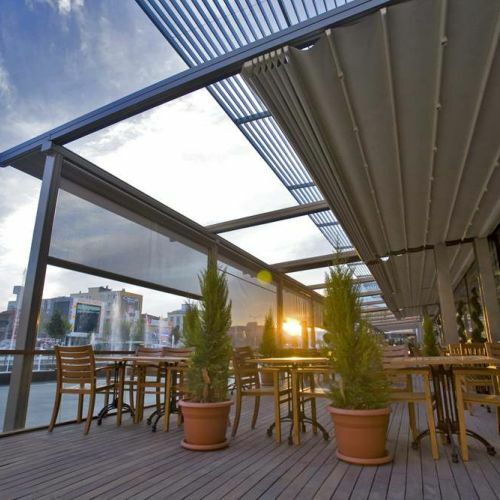 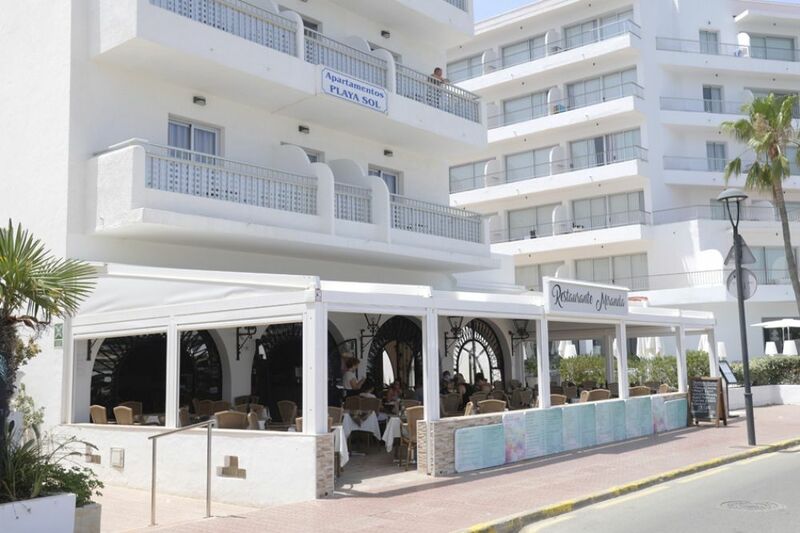 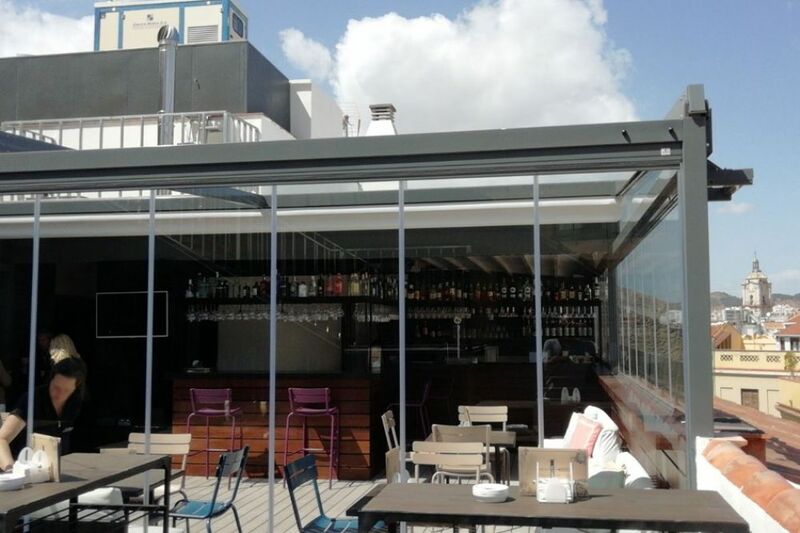 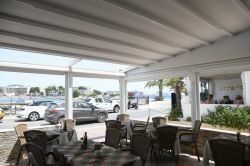 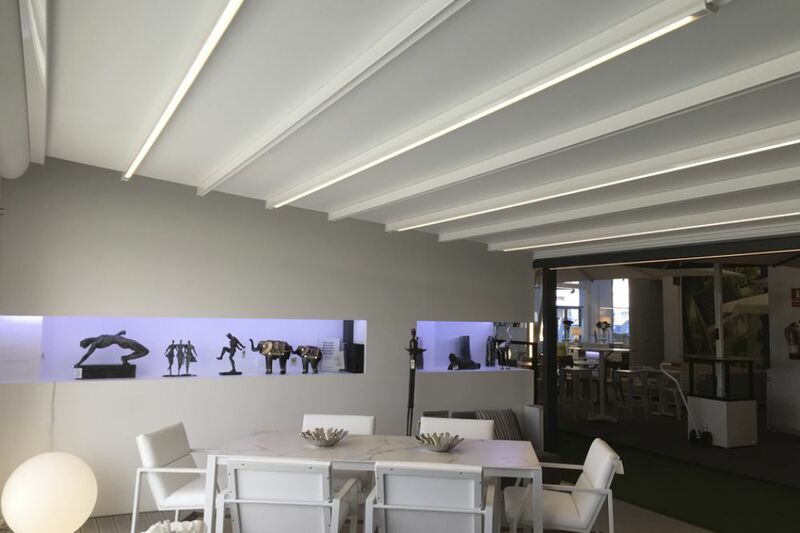 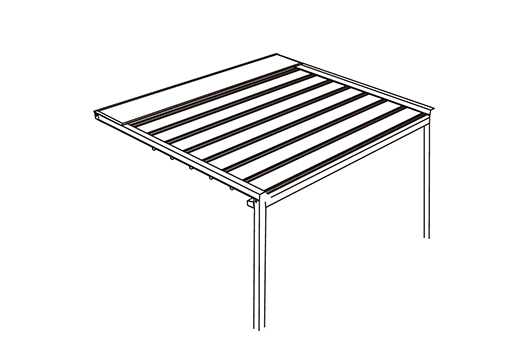 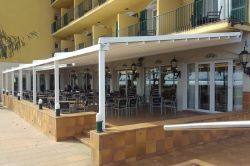 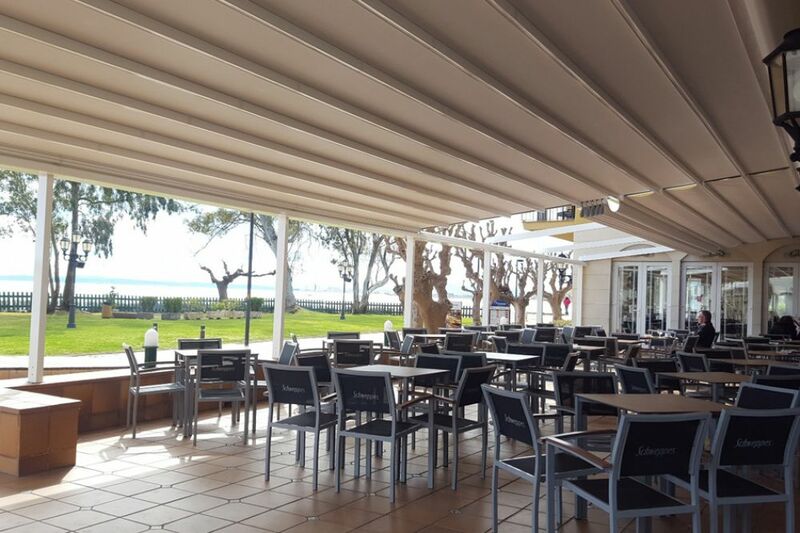 Modular pergola a maximum of 1,300 cm wide by 600 cm exit with a sole tarpaulin cover.